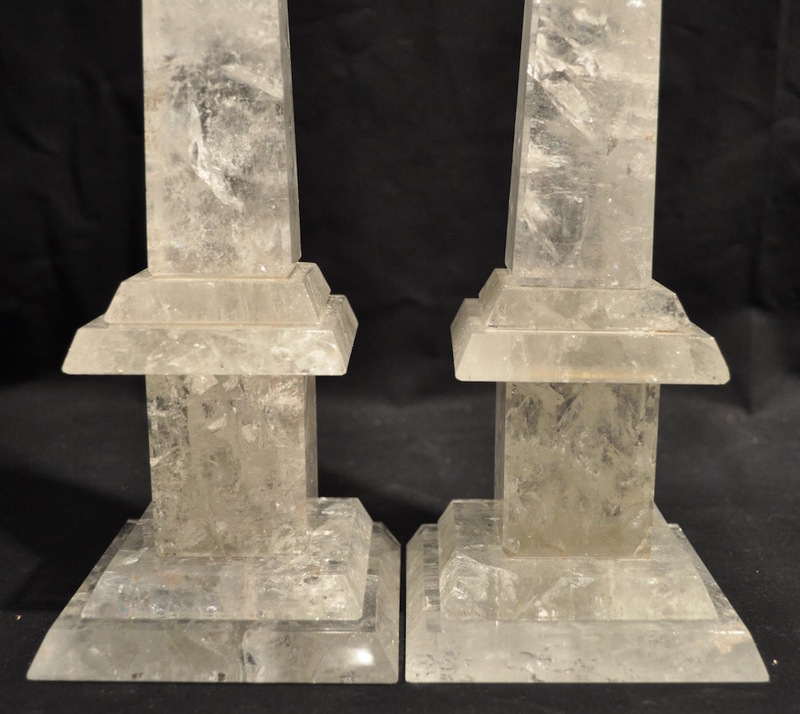 Pair of rock crystal obelisks on a stepped platform with very interesting occlusions allowing the light to catch and refract. These are chic in any decor - classic or modern. 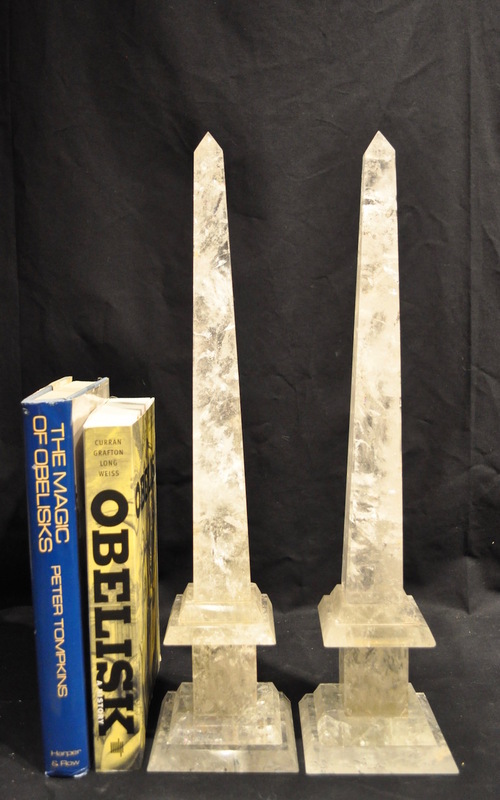 17 ¾ inches tall and 17 7/8 inches. Base about 4 inches square. Overall condition good. 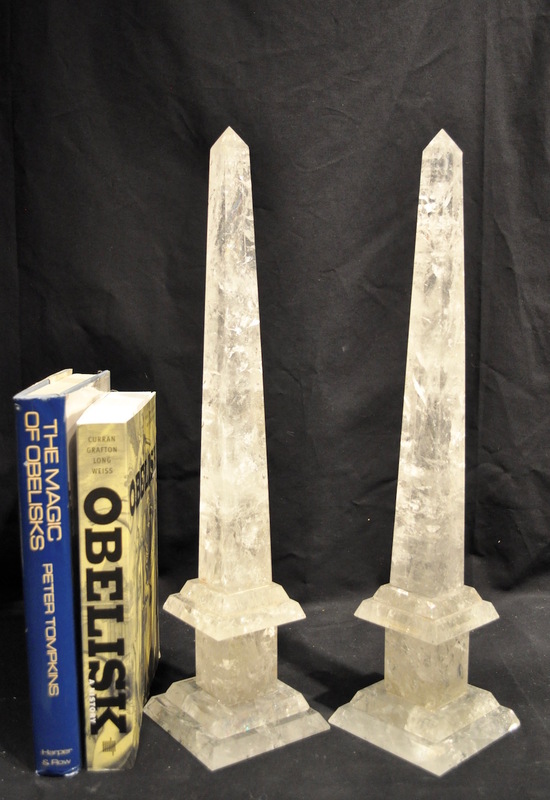 Obelisk 1) Plinth reattached to base. Otherwise no observable damage. 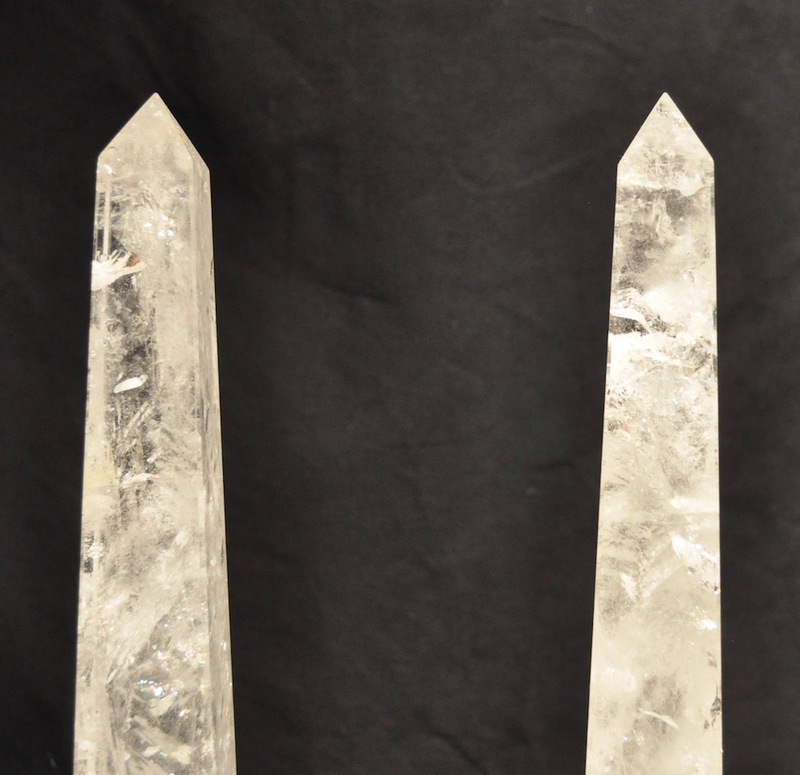 Obelisk 2) Obelisk has been reattached to the plinth, and the upper platform reattached to the lower platform. For both obelisks, where reattached some bonding agent visible at close range.